Login as a user who is getting notifications about such changes. e.g. 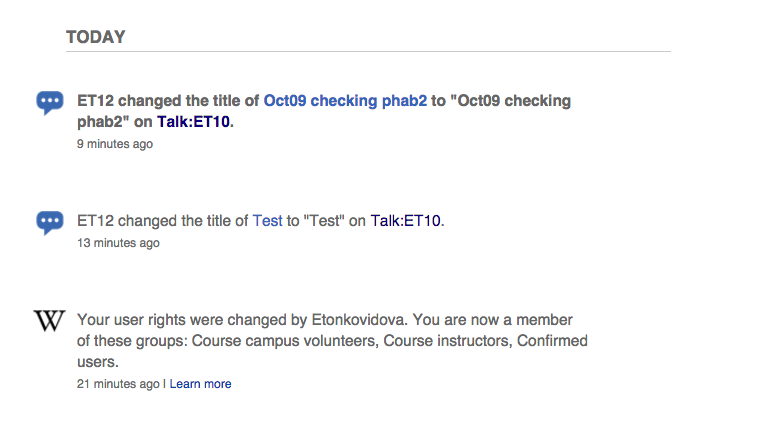 ET12 (Talk | contribs) changed the topic title from "foo" to "Test"
ET12 changed the title of Test to "Test" on Talk:ET10. Note: 'View history' displays it correctly. Is it the same as T109784: Email notification: The new renamed topic title is displayed in place for the previous title?